The ground slips out from under me and suddenly I am airborne when I really should not be. I land hard on a dusty bare field with a few sprouts of grass. That hurt and definitely did not look elegant. I have just been body checked by a 24-year-old girl. The ball leaves my hands, and the 24-year-old grabs it, shoots it at the hands of the goalkeeper, and scores. Meet Prukalpa, the co-founder of SocialCops. I trudge back to my side, trying to avoid the disappointed gaze of another 24-year-old — a boy this time. That would be Varun, the other co-founder. And this is Captain’s Ball — a weird concoction of football and rugby with goalkeepers standing on rickety office chairs — something we play every month after our Townhall. At 42, I am the diversity factor on this team of nearly 40 superstars. The team has people from all over India, plus a few adventurous Americans. There are more than a few girls, but no one close to my age. A long time ago, in the autumn of 2013, I joined Prukalpa and Varun (then students at Nanyang Technological University in Singapore, funding their startup idea by winning student competitions) as a director for their startup, SocialCops. As with many things in life, this was serendipity. A year ago in the spring of 2012, I had made two massive life changes. First, after nearly a decade with American Express in New York, I switched out of my suits to join a mobile startup called Jana Mobile, whose original model was around connecting brands to emerging market consumers. Second, while New York is a melting pot, the world was changing fast in the urban and rural landscapes of Asia. So I convinced my lawyer wife (the only argument I have won) and my two year old daughter to decamp to the City State of Singapore. Singapore was beginning to attract attention as an outpost of both technology companies in the U.S. and was encouraging efforts to inculcate tech entrepreneurship. Facebook had a small office back in Singapore back then and Twitter had a couple of people, but it was still P.U. (pre Uber) days. There were two co-working spaces in Singapore (compared to more than 30 now). It was also prior to the obscene valuations in India and the Western world fully appreciating Alibaba. Leaving American Express, my intent was very simply to see if I could be survive without the power of an amazing brand behind me. This led to me looking for smaller and smaller companies where I would need to do all of the work instead of running large teams of hundreds of people. My thoughts led me to finally settle on the following place: a company with less than 20 people, in the fast growing mobile space, with an element of social impact, which would be out of cash in 12 months. I became employee number one at Jana Mobile and came to Singapore, where I would spend the weekend but be on the road through India, China and South East Asia during the week. Being back in India was frustrating but wonderful. The smartphone-led technology boom was visible, and I was fortunate to partner with clients who embraced this. Unilever, P&G, Nestle, MasterCard, Syngenta, and J&J among others were at the forefront of this revolution. While traveling through Asia, you could see the commercial power of the smartphone being unleashed. Nonprofits and governments too jumped into the fray. 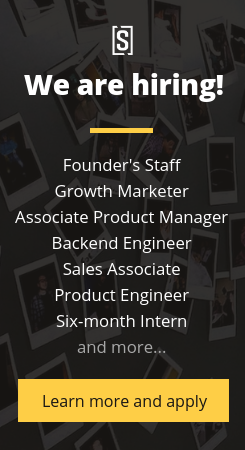 I got excited about startups and tiptoed into investing small sums of money into companies whose founders I liked and trying to help them grow; meanwhile, I was building the Jana team (the best team I have had in 20 years), driving revenue, and supporting a $15 million raise. It was an exciting time to be alive in Asia and building a business. Then Nirbhaya happened, and a part of my world stopped. For months after, I (like so many others) was physically sick and outraged. Being the father of a daughter had a lot to do with the anger I felt, but I wanted to see if we could solve the problem through technology. Why couldn’t we have an effective 911 mechanism tied to a user’s phone? Why couldn’t the police have been better informed? Why was there no way to alert people in her vicinity? Why didn’t the victim have information about which is the safest way to get home? Every time I landed in Delhi, I wondered what could be done to make it a bit safer for girls and women. A few months later, I was assigned as a mentor to SocialCops for a student competition. I took the first phone call from Prukalpa; she was still in school in Singapore and I was in India on a business trip. I asked her about the origin of the name, and she shared the intent of making the world a better place using data and mobile devices. Then she sent me a mock video of a girl in trouble using her phone to message friends or people close to her and the police. And, just like that, the aptly named SocialCops became a key part of my life. Unlike some other entrepreneurs, Prukalpa and Varun decided to graduate. Then, in late 2013, they left the efficiency of Singapore for the chaos and, more importantly, aloo parathas of Delhi. They set up a shop in the living room of Varun’s apartment — 2 chairs, a really ratty bean bag, and reasonably elegant red curtains — which was best entered through the fire escape! They did have tea on delivery. The model back then was to crowdsource information, aggregate it, and provide it in a useful format. With classic entrepreneurial hustle, Varun and Prukalpa pitched and sold pilot projects before they were built (hat tip to HP). Suddenly Unilever and UNICEF were clients. They also got to see how unreasonable some clients can be. Then Verizon Ventures called. SocialCops was one of ten ventures shortlisted for the Powerful Answers award. The only non-U.S. venture nominated, we all flew to Palo Alto. I was the mature voice advising how to pitch. (Back then, I could still add some value). We did not win the million dollar prize, even though the perfectionist duo stayed up all night to work on the design of their pitch document. But we got to eat great Mexican food and explore San Francisco. In hindsight, the million dollars would have skewed life. Character is built in the dark and January 2014 was a dark time after the Verizon competition. A client weaseled out of a one-crore contract. Money from the competitions they had won was running out. Pretending to be grown up was hard. But, displaying a level of maturity that was aggravating, Varun and Prukalpa hunkered down to get more clients. By April 2014 (something about timing the end of winter and beginning of spring), some wonderful angel investors (my next door neighbor!) came on board, along with 500 Startups, Rajan Anandan of Google, and another good friend Manoj Menon of Frost & Sullivan. We drew up convertible notes, got a legitimate office, made some great hires (and the odd questionable one). The kids were growing up fast. In the two years since then, so much has changed and happened. But there are two big things worth mentioning. First: this startup makes money, and has made money since Day 1. I have nothing against the “Let’s grow and figure out the monetization later” camp. In fact, I think in many spaces you need that. But there is something basic yet magical about your purpose in life being validated by a company procurement team or a government official or a foundation with a check. Second: the culture. Somehow, each employee embodies the basics of a culture that revolves around empowerment (there are no hierarchies or titles) and a zeal to make it easy for large entities to make the world a better place. It is clear that all their employees have “founderitis”, and SocialCops is now bigger than the two co-founders. This culture gets appreciated in lots of different ways. For example, a few hours ago, I was leaving Singapore on a Friday evening after work (instead of going home) to fly to Delhi to spend Saturday with SocialCops at their Townhall (and play Captain’s Ball). At the airport, I ran into a friend, a fund manager at Fidelity (who was returning home and wanted to know why I was leaving home on the weekend). We chatted for a few minutes, I told him about SocialCops and, as I walked into the plane, I emailed him the SocialCops Culture Deck. Upon landing in Delhi 5 hours later, I saw a message from him saying he had emailed his CEO about how SocialCops’ hiring practices and culture is worth emulating! Got to love that. SocialCops’ team is growing. The products are scalable. The impact is growing. SocialCops is now helping companies optimize sales routes in rural India, supporting education for girls, creating jobs, and reducing maternal mortality. Backed in great part by amazing partners such as the Tata Trusts, they have been able to generate revenue, build new products, generate insightful Real Numbers, and win accolades from the press, all the while staying true to the mission of making the world better by clearing the fog of disparate disorganized data to drive impactful decisions. No mention of an awesome tech company can be complete without invoking the U word. But I think of SocialCops as more than a unicorn. This is no mythical beast. This is not a figment of imagination. This is real. SocialCops is looking for people who can skew the company’s age and experience statistics with me. Come help all types of organizations — companies, governments, philanthropic organizations, the police, and more — make better decisions (and design the first safe route home for a girl). Yes, I am biased but come be biased with me. Attend a Friday demo, see some scarily awesome technology, think of the decisions you want to help with, and then come build. We’re always looking for new team members. Think you’d be a good fit? Check out our open positions here. Art of story-telling – the Anurag Banerjee way. “founderitis” is the new term I learned today. Good luck! I have no doubt that this will go places so that Anurag’s #1 cheer leader in the US will be so proud. Way to go Man! Ringside of life and entrepreneurship. I can almost feel the everyday life..wish Social Cops team the very best of luck! A truly wonderful read. Much needed and inspirational. Great job, mate. Great Anurag! Keep this going and growing.